When Will Godzilla: King of the Monsters’ Next Trailer Release? It’s been a few months since the first trailer for Godzilla: King of the Monsters dropped at San Diego Comic-Con, so we can expect a second trailer to arrive within the next few weeks. The sequel to 2014’s Godzilla will be the third movie in Legendary Entertainment and Warner Bros.’ MonsterVerse universe, which continued last year with Kong: Skull Island. Godzilla and King Kong will unite on the big screen in 2020, with the release of Godzilla vs. Kong, but first Godzilla will have to face some other old friends. 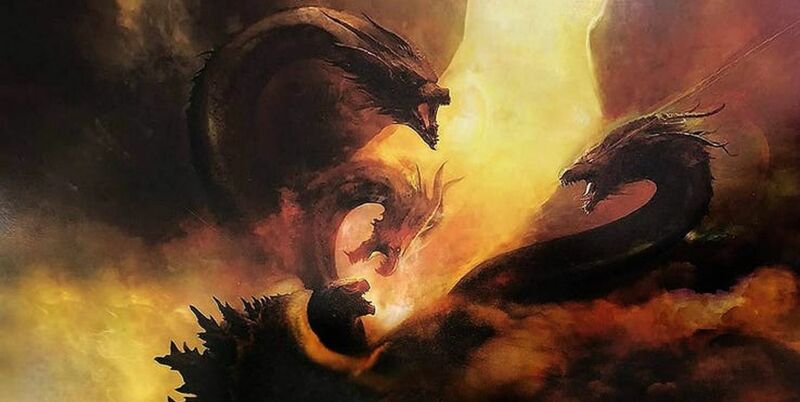 Directed by Michael Dougherty (Krampus), Godzilla: King of the Monsters will bring fellow titans Mothra, Rodan and King Ghidorah to the big screen – and they’ll be bigger and more dangerous than ever before. As teased in the apocalyptic first trailer, these monsters are so large and powerful that even their wingbeats can cause massive disasters like hurricanes and storms. Godzilla himself is no slouch in the size department, standing at 350 feet tall and boasting devastating atomic breath. Warner Bros. will almost certainly want to attach the next trailer for Godzilla: King of the Monsters to a major blockbuster, and there aren’t too many of them lined up before the movie’s March 2019 release. It makes sense that the studio would want to unveil the next trailer before the release of Aquaman (another Warner Bros. movie) on December 21, so we can expect a second trailer for King of the Monsters to arrive in early December. 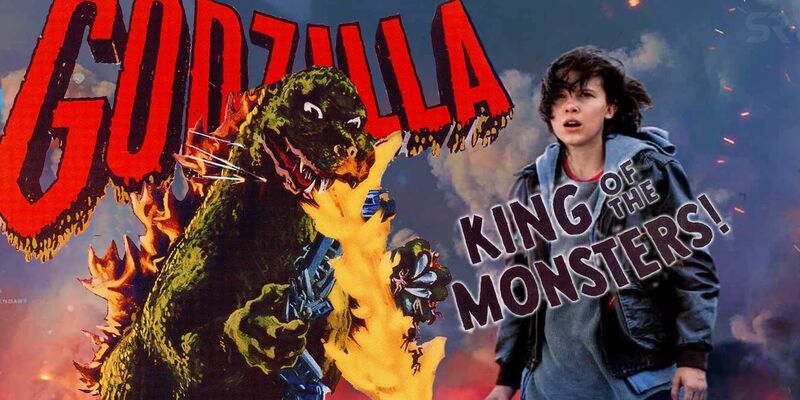 The first trailer for Godzilla: King of the Monsters featured some tantalizing glimpses of the movie’s various monsters, and also introduced the human cast. Stranger Things‘ Millie Bobby Brown has a central role as young Madison Russell, while Vera Farmiga (The Conjuring) plays her mother, Dr. Emma Russell and Kyle Chandler plays Madison’s father, Mark Russell. Ken Watanabe will reprise his role as Dr. Ishiro Serizawa (who famously said, “Let them fight” in 2014’s Godzilla, and may adopt a similar attitude in King of the Monsters). By all accounts, it looks like this sequel will dig a lot deeper into the mythos of the MonsterVerse universe, exploring the origins of the Titans and their history on the planet. King Kong isn’t set to appear in this particular movie, but we wouldn’t be at all surprised if he showed up in a post-credits scene to tease Godzilla vs. Kong. With Godzilla: King of the Monsters‘ release date creeping closer, keep your eyes peeled for another trailer in the next few weeks, and look forward to seeing it in theaters ahead of December’s major releases.